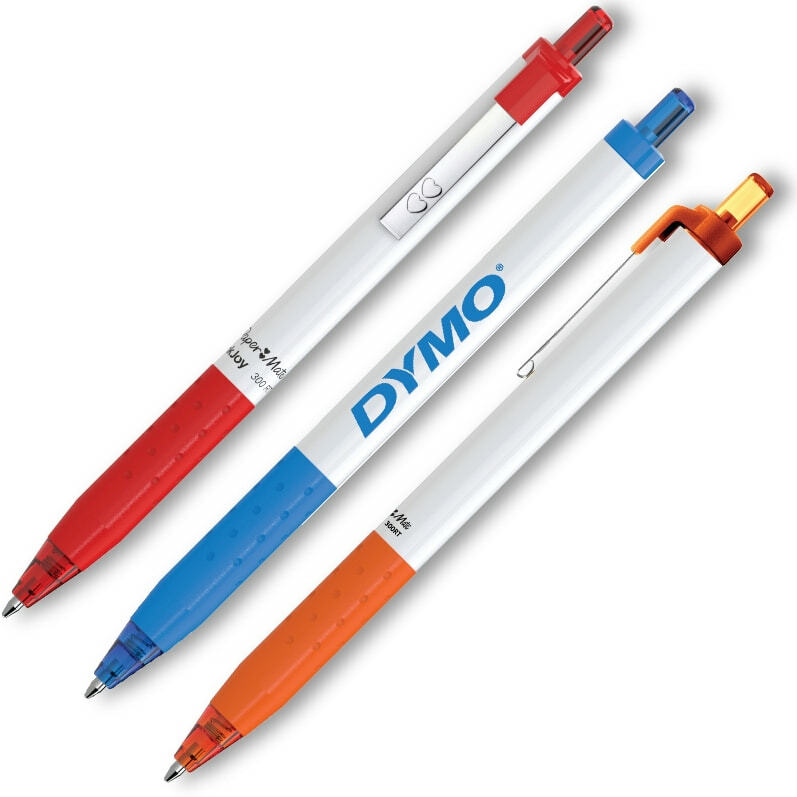 Paper Mate Promotional Pens - Get your logo on InkJoy 300RT Pens. Unique white barrel pen w/ a metal clip, retractable pen, gripper. Offering 9 trim colors to match your logo & 9 InkJoy ink colors. Price includes a one color imprint on barrel 1 5/8" w x 9/16" h.
Advertising is very important and when I placed an order for the Paper Mate InkJoy 300 RTW promotional pen immediately upon delivery I knew without a doubt I had found the right pen and promotional items company. Overall the pen is well constructed, shows our logo very well on the white background and they write like dream. Less than 8 days from placing the order delivery was accomplished just in time for our new product line launch. Thank you Promotional Items for a quality products and great service. I will be back for More Paper Mate Pens!!! !